Please read this Policy carefully to understand our policies and practices regarding your personal data and how we will treat it. By submitting personal data to us and/or by using our Website, you give your consent that all personal data that you submit may be processed by us in the manner and for the purposes described below. If you do not want us to process your personal data, please do not provide it, but you may not be able to use certain features of our Website. For example, we need to collect personal data from you so that you can pay for our Products and we can ship them according to your instructions. This Policy applies to all personal data (i) you provide to us on our Website, (ii) we obtained from our social media platforms such as Twitter, Facebook, Instagram, Google+, LinkedIn and Pinterest, (iii) you provide us about yourself and others when you order and pay for our Products, (iv) you provide to us for our business and marketing communications, promotions and trade shows, (v) you provide in emails, live chat, phone conversations, in-person conversations, contained on business cards, call center communications and any other methods of communication, and (vi) all personal data provided through third parties who support us or who work with us to provide our Products to you and support our marketing, advertising and business. This Policy does not apply to any third party site or service linked to or from our Website or social media channels or any site or service recommended or referred to by our Website or by our staff. It also does not apply to the third parties who host our social media channels. Information We CollectWe collect personal data from you in several ways while we market our Website and our Products, interact with our customers, store users’ data and sell our Products. You provide us with personal data directly, we collect personal data automatically, and we may get personal data about you from other sources. We may collect personal data from you when you create an account, use our Website to learn more about our Products, provide comments and suggestions, sign up for newsletters, enter promotions, interact with us on our social media channels, order Products, and sign up for events or trade shows. If you do not want us to collect this personal data, please do not provide it. We also may get personal data about you from our service providers, our sales channels and our customers who may be sending you our Products. 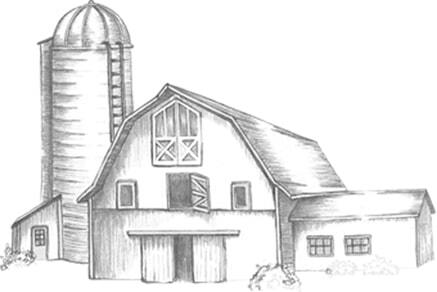 About prospective and current customers and other parties interested in Dorothy’s Creamery and its Products. Collected about our customers and the individuals to whom they send our Products such as name, physical addresses, phone numbers and email addresses for work, home and other locations, payment information, and delivery contact names and addresses. You provide us to receive our catalogs, newsletters, information on our social media channels and other information necessary to receive promotions and discounts. You provide to us in any online forms or in your communications with us, including without limitation by email, facsimile, live chat, telephone and/or through our social media channels. Used by you to sign up for an account on our Website, including user name, password, information to reset user name or password, alternative forms of payment, address book information for individuals to whom you may choose to send our Products and other details that you choose to maintain in your account. You share about yourself and others so that we may assist you in selecting your preferred Products, including shipping information and personalized notes to recipients. You share with us when you ask questions about our Products, placing orders, obtaining status of orders, requesting replacements or returns and other ordering details. You make public, including on our social media platforms through photographs, videos and other content. Business Account Information. Business account information is business-contact information and other personal data that we collect from individuals who represent companies that do business with us. This includes businesses that order gifts for employees and others, affiliates who direct customers to us, and our service providers and vendors. Business account information includes, without limitation, the following types of personal data: name, title, job function, business name, business address, business email address, business phone number, personal logins, passwords, electronic signatures, payment information, orders, name and contact details for recipient(s) of Products, and any other personal data collected when the business enters into the business relationship with us, provides us with its goods or services, shares personal data with us, when the business selects, orders or receives Products, provides or receives payment, or provides us with personal data about individuals who may receive gifts from the business. Information We Automatically Collect from You When You Use the Products. The information we collect automatically may include personal data, or we may maintain it or associate it with personal data we collect in other ways or receive from third parties. “Strictly Necessary” or Essential Cookies. These are required for the operation of our Website. They include, for example, cookies that enable you to log into secure areas of our Website and use online forms. Functional Cookies. These are used to recognize you when you return to our Website so we can personalize our content for you, greet you by name, and remember your preferences. These cookies also record your visit to our Website, the pages you visit and the links you follow. We use this information to make our Website and communications more relevant to your interests. Analytical Cookies. These allow us to recognize and count the number of visitors and to see how visitors move around our Website when they are using it. This helps us to improve the way our Website works. Marketing/Targeting Cookies. On our Products, we might use remarketing cookies of certain display advertising service providers. These display advertisements to users of third-party websites that have previously visited one of our Products. For this purpose, we collect the information that a certain user has viewed specific Products. This information may be linked to a marketing cookie – a text file that is placed on your device by the display advertising service provider. When you visit other websites, specific advertisements regarding our Product, including without limitation promotional offers, may be displayed to you based on your past visit to our Products. Log Files. We gather certain personal data automatically and store it in log files. This information may include IP addresses and usage data such as browser type, browser language, device identifier, Internet service provider (ISP), referring/exit pages, length of visit, pages viewed, operating system, date/time stamp, clickstream data, crashes, system activity, hardware settings, the date and time of requests, referral URL and other usage data. We may combine this automatically-collected log information with other information we collect about you. If you call or fax us, we may also log information such as your phone number, forwarding calls, SMS routing information and types of calls. Products Use. We may use technologies to automatically collect personal data to, among other things, provide you information and to perform benchmarking, analyze trends, make decisions about our business and to gather information about our customer user base as a whole. Location Information. When you use our Website, we may collect and process personal data about your location. We may use IP address, beacons, GPS and other sensors that provide information about nearby devices, Wi-Fi access points and cell towers. Information We Get from Others. We may get personal data about you from other sources, including from our customers. We may add this personal data to the information we collect on you. To Respond to Your Requests or to Tailor Content. We may respond to your inquiries or requests, which may include processing orders, sending confirmations, providing invoices and processing requests for information about our Products. We may use your personal data to customize Products. We may also use your personal data to provide you with more relevant information and advertisements about our Products. To Provide Products to You. We may use personal data that we, or others on our behalf, collect from you to ensure that we deliver our Products to you and to communicate with you about the status of our delivery of Products. We may provide support and related Products information via our Website or social media channels and through businesses with whom we market or sell our Products. We may also use your personal data to provide you Products updates and notices. We may keep a record of your communications and ours to provide improved customer service to you and others, including without limitation recordings of customer support calls, retention of live chat communications and email correspondence. We may use your data as necessary to maintain our business relationship with you and/or to fulfil our commitments to you. To provide Informational Services. We may use personal data while providing online information such as status of delivery, comments or public communications. We may also do this while delivering live or online events such as trade shows and third-party events sponsored by Savencia or where Savencia presents or participates. To Assist You in Making Your Payments. We may use personal data, including without limitation your financial information, to bill you for Products and process your payments. To Meet Legal Requirements. Savencia may be required to provide personal data to comply with legally mandated reporting, subpoenas, court orders, or other legal process requirements or to investigate or resolve legal matters. To Market and Improve Our Products and to Create New Products. We may inform you about our Products, events and perform marketing activities. We may use personal data for analytics purposes and to operate, maintain and improve our Products. We may also use personal data to create new Products. With Your Consent. We may use your personal data for any purpose for which you have provided your affirmative consent. Anonymized or Aggregate Information. We may use aggregate or de-identified personal data without restriction, so long as such actions are in compliance with laws applicable to the personal data. Business Maintenance. We may use your personal data as necessary to perform as a business, to prepare our financials, to prepare materials for accounting, to perform internal audits, to assess the quality of our Website and Products, to pay taxes and to perform other regular business operations. Store Your Preferences and Settings. Settings that enable our Website to operate correctly or that maintain your preferences over time may be stored on your device. We may save preferences, such as device (e.g., computer, laptop, or mobile device) language, browser and other settings, so you do not have to set them every time you visit our Website. If you opt-out of interest-based advertising, we store your opt-out preference in a cookie on your device. Cookies can also help you fill out forms on our Website. Sign-In and Authentication. When you sign into our Website using your personal account, we store a unique ID, and the time you signed in, in an encrypted cookie on your device. This cookie allows you to move from page to page within the Website without having to sign in again on each page. You can also save your sign-in information so you do not have to sign in each time you visit our Website. Social media. Our Website may include social media cookies, including without limitation sharing service offering pages and blog posts from our Website using our sharing links and enabling users who are logged in to the social media service to share content via that service. Your Internet browser and mobile device may allow you to adjust your browser settings so that “do not track” requests are sent to the websites you visit. We do not process “do not track” (DNT) signals. Our third party service providers may also not respond to DNT signals. Customers. Savencia will share details about a customer account with that customer, including all orders and deliveries. Business Partners and Subcontractors. Savencia shares personal data with business partners and subcontractors, including without limitation affiliates, marketers, analytics companies, suppliers, transport companies, and other vendors and service providers that support our business. These third parties assist us by maintaining our Website, creating and mailing our catalogs and newsletters, marketing and selling our Products, fulfilling orders, developing, manufacturing and improving our Products, managing our accounts with customers, facilitating the processing of payments and returns, communicating with you about orders or issues with Products or our Website, troubleshooting problems, transporting our Products, communicating marketing and promotional offers, providing customer service and administering any contract we have with an individual or entity or to accomplish a legitimate business need. Google Analytics. We use Google Analytics to analyze site traffic to our Websites. We may also use Google Analytics in conjunction with Google’s advertising services, such as those using the DoubleClick cookie. With this capability, we or Google may link Google Analytics information with information about visits to multiple sites. We may use these tracking technologies to provide tailored advertising and evaluate our marketing efforts. We also use Google AdWords conversion tracking which tracks your use of the Website after an advertisement has been clicked. For more information about how Google collects and processes data when you visit websites that use Google technologies, please see “How Google uses data when you use our partners’ sites or apps” (Link). You may opt out of being tracked by Google Analytics by using the Google Analytics Opt-Out Browser Add-On (Link). To Our Affiliates. We may share some or all of your information with our subsidiaries and corporate affiliates, joint venture partners, or other companies that are or may become under common control with us. We will require these entities to comply with the terms of this Policy with regard to their use of your information. Publicly Posted Content. If you post comments, images, and other content to a public-facing page, that personal data will be publicly viewable. With Your Consent. We may share some or all of your personal data with any other third party with your affirmative consent. For instance, we may display personal testimonials of satisfied customers on our Website in addition to other endorsements. With your consent we may post your testimonial along with your name. If you wish to update or delete your testimonial, you can contact us at info@dorothyscheese.com. Anonymized or Aggregate Information. We may share aggregate or de-identified personal data without restriction, so long as such actions are in compliance with laws applicable to the personal data. Third-Party WebsitesWe may link to third party websites. We are not responsible for the data collection, use practices, policies, or cookie use of the third party sites that you access from our Website. We encourage you to be aware when you leave our Website and to read the privacy policies of each website that collects personal data. Our Communications. You can opt-out of receiving specific types of communications from us and our partners where we request data about you. If you sign up to receive information about our Products, you may unsubscribe or opt-out of all future marketing communications from us that do not relate to Products you have already ordered by removing your personal data from our marketing and communications databases. To opt-out, send us an email at info@dorothyscheese.com or click the unsubscribe link on any email marketing communication we send you. Please note that there may be a delay in effect if your name is already in the queue for publishing and mailing catalogs and newsletters. Third Party Tools. Most Internet browsers allow you to block or delete cookies and other similar technologies from your browser. If you do not agree to the use of these cookies or similar technologies, please disable or delete them by following the instructions for your browser set out here: http://www.allaboutcookies.org/, or use automated disabling tools where available. You can generally opt-out of receiving personalized ads from third party advertisers and ad networks who are members of the Network Advertising Initiative (NAI) (Link) or who follow the Digital Advertising Alliance’s Self-Regulatory Principles for Online Behavioral Advertising (Link) by visiting the opt-out pages on the NAI website and DAA website. You may also opt-out by clicking on TrustArc’s Your Advertising Choices page (Link) or, if in the European Union (Link). Please note this does not opt you out of being served advertising. You will continue to receive generic ads. You can also delete cookie files from your hard drive, or avoid them altogether, by configuring your browser to reject them or to notify you when a cookie is being placed on your hard drive. Not all features of the Products will function as intended if you reject cookies. You have the right to access your personal data and to correct, amend, or delete such personal data if it is inaccurate. You can access, correct, or request deletion of your personal data by logging into your account. 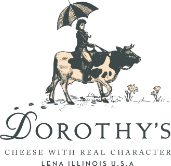 Other requests for access, correction, amendment, or deletion should be sent to info@dorothyscheese.com. When required by laws and regulations applicable to Savencia and you, Savencia will, upon your request, provide you with information about whether we hold any of your personal data. We will respond to any such legally required request to access your personal data within 30 days. It may take us longer if your request is complex or you have made multiple requests in which circumstances we will notify you and keep you apprised of our progress. We will retain your personal data and the data we process on behalf of our customers for as long as your account is active or as needed to provide you Products or requested information. All other data shall be retained according to our record retention policy. We will retain and use this personal data as necessary to comply with our legal and contractual obligations, resolve disputes, and enforce our agreements. If you delete any account information, we may retain certain information as required by law or for legitimate business purposes such as personal data necessary to bill you for our Products. Once you pay us for a Product, we cannot delete any personal data required to maintain and deliver the order and comply with all related legal business obligations unless you cancel your order. If we have a contract with you or with your business, we will keep personal data for the term specified in the agreement. If you become an inactive customer, or if we close or suspend your account, we will continue to adhere to the then current Policy when we collect your personal data so long as we retain it in our databases. We may delete any or all of your personal data at any time without notice to you for any reason or no reason unless otherwise required by law, regulation, contract or our internal policies to retain it. SecuritySavencia takes reasonable and appropriate measures to protect personal data from loss, misuse, and unauthorized access, disclosure, alteration, and destruction, taking into account the risks involved in the processing and the nature of the personal data. However, no method of transmission over the Internet, or method of electronic storage, is 100% secure. Therefore, we cannot guarantee its absolute security. We reserve the right to modify this Policy at any time. When we make only minor modifications which do not materially change the Policy, we may do so without notifying you. It is your responsibility to keep current the contact information we have on file for you. When we make material modifications affecting data practices where we operate as the data controller, we will post and/or email the new Policy. We encourage you to periodically review this page for the latest information on our privacy practices.